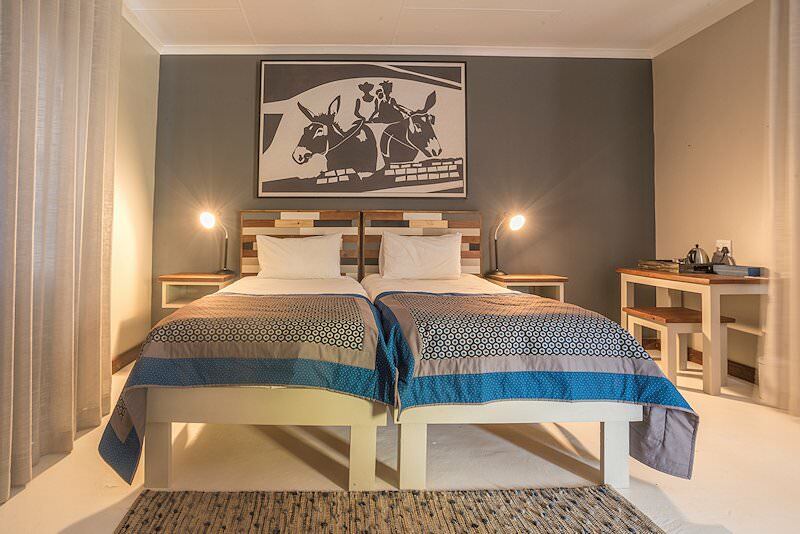 Damara Mopane Lodge offers comfortable four star accommodation in the unique Damaraland region of Namibia. 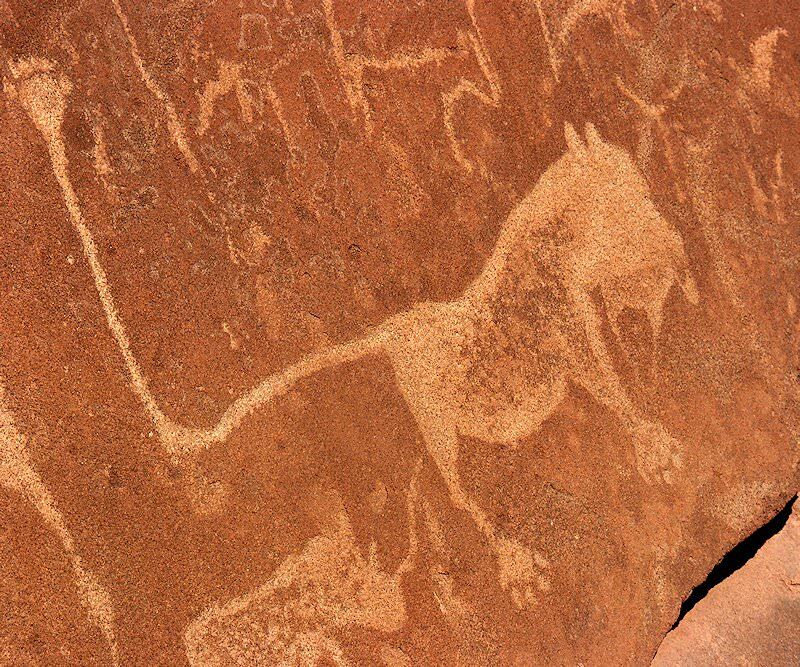 Damara Mopane Lodge is situated near Khorixas in the Damaraland region of Namibia. ‘Special’ is an understatement for this lodge. 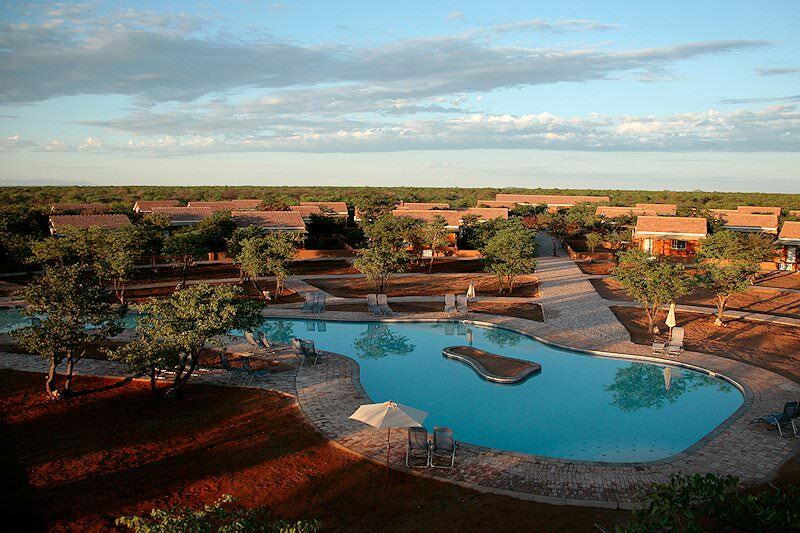 The lodge is modeled after the old African kingdoms, with the chalets positioned in a semi-circle around the swimming pool. 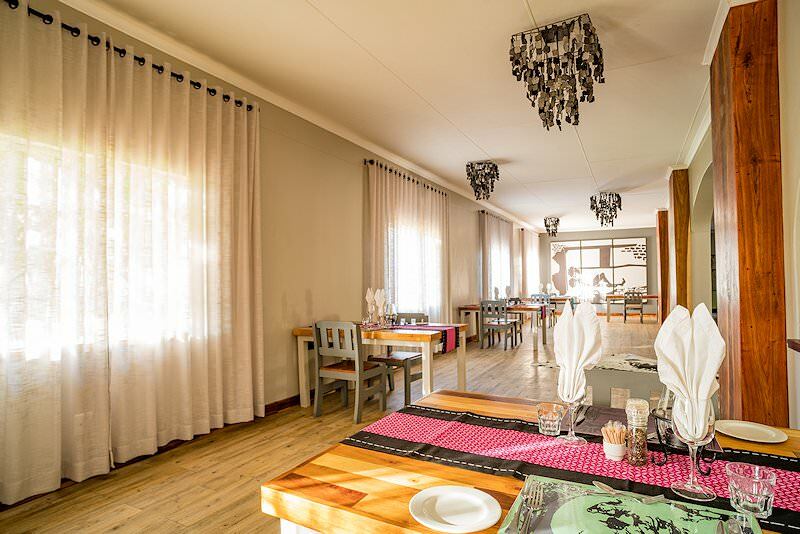 Every chalet has its own vegetable garden, and the lodge is surrounded by greenery – you will even see sunflowers and scarecrows, which add to the unique atmosphere of the lodge. A labyrinth of walkways connect all the chalets, the swimming pool and the central recreational area. 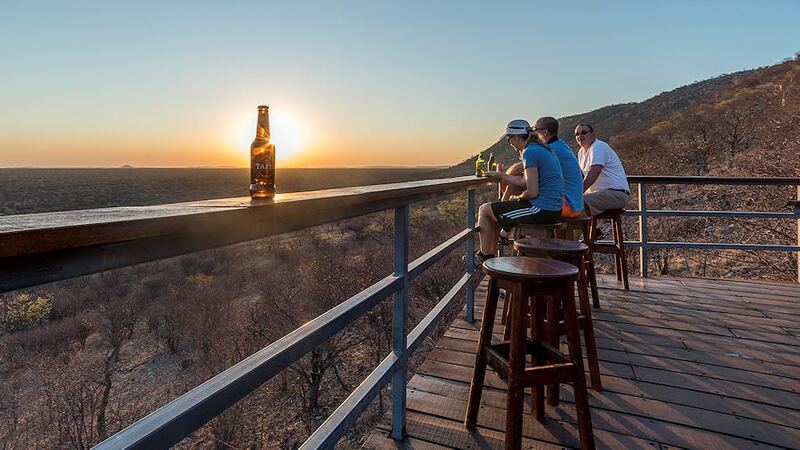 At sunset, you can make your way to the deck to see the last rays of African sunshine over the mopane woodlands that surround the lodge while enjoying a drink. 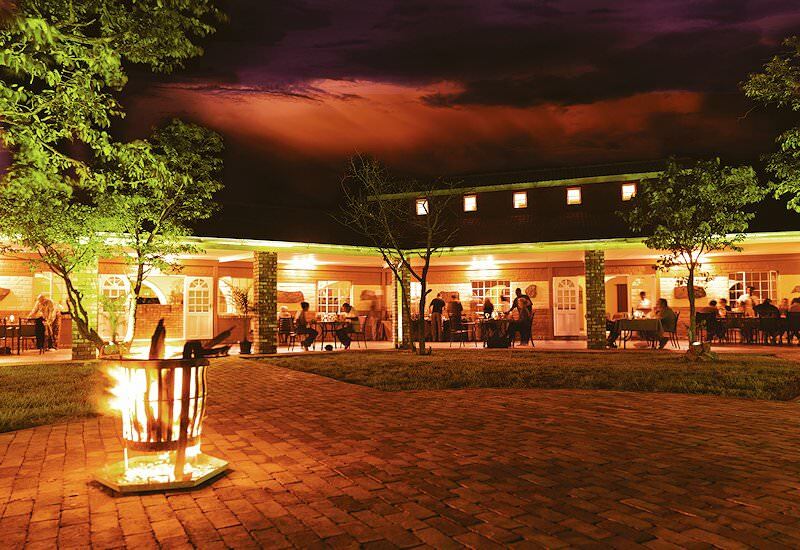 Dinner is served in the lodge’s restaurant, with a fireplace that enhances the cozy ambience. The restaurant incorporates the herbs and vegetables grown at the lodge for the food they serve. There is also a bar at the restaurant, if you’d like to enjoy a glass of wine or a cold beer. The staff is extremely friendly and you can expect that your heart will be warmed by the ways of the Damara people. 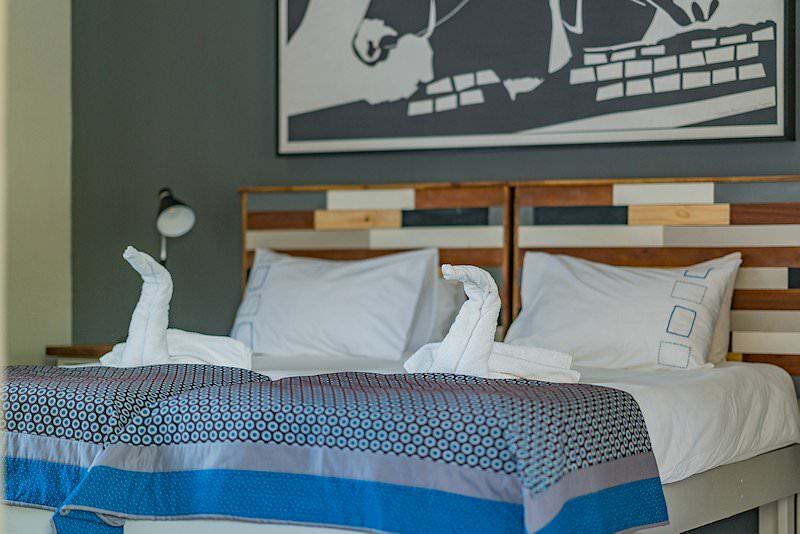 It might sound like this quaint lodge is in the middle of nowhere, but guests can still stay connected via mobile reception and complimentary WiFi. 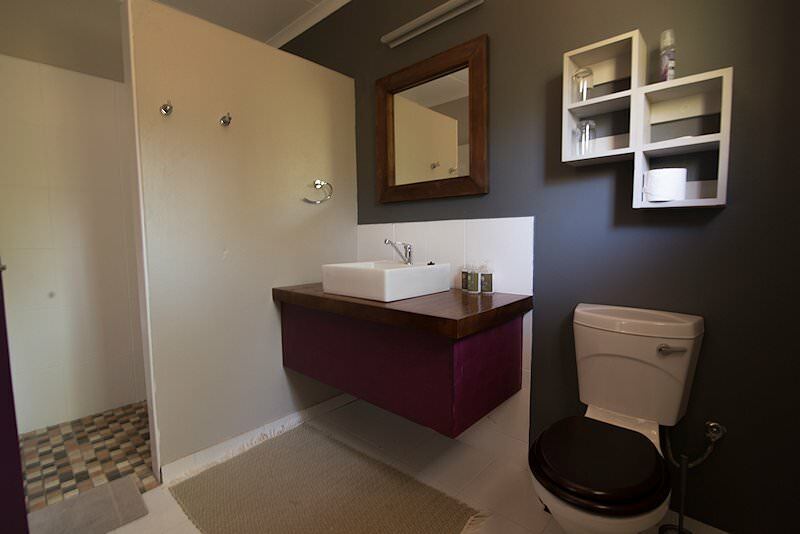 All 55 chalets at the Damara Mopane Lodge are en suite and have private verandas, where guests can sit back and relax. 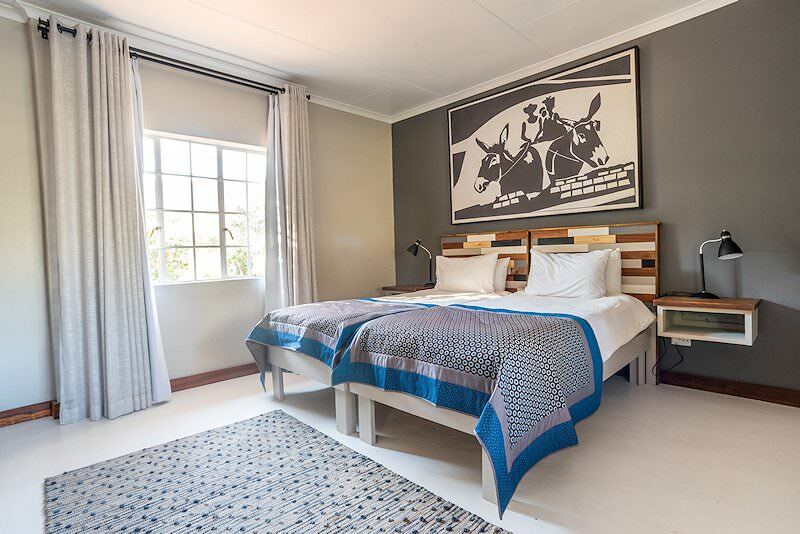 The chalets also have both air-conditioning and heating, ensuring comfortable temperatures throughout the year. 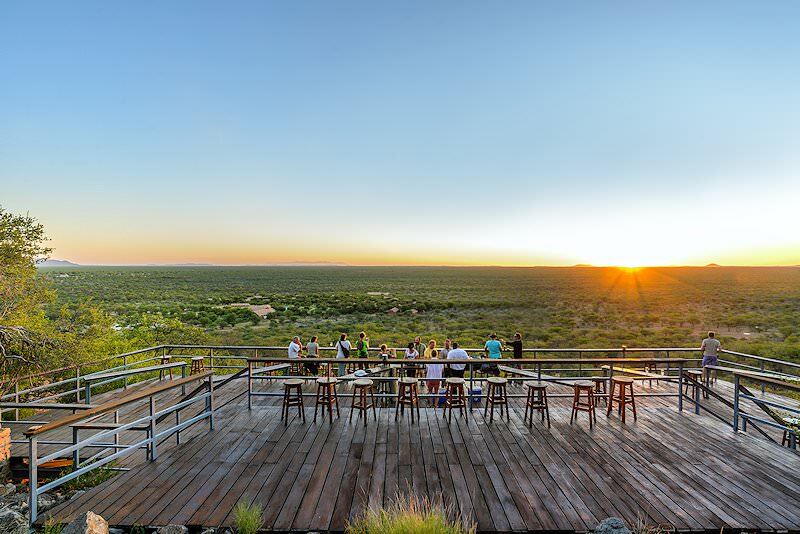 Activities include the sunset walk to the deck, self-guided hiking tours in the Damaraland region, relaxing by the pool and socializing at the restaurant. 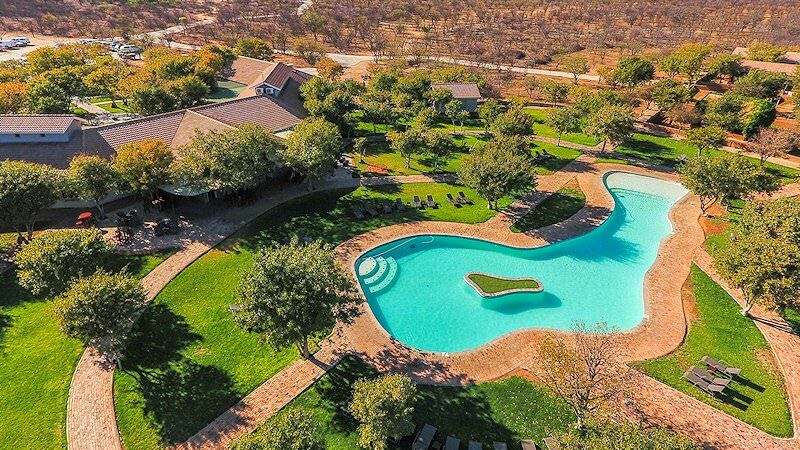 Children are welcome to all facilities, which makes Damara Mopane Lodge the ideal getaway whether you are traveling alone, as a couple or with your whole family. Travel to South Africa for a diverse range of safari and tour experiences. Botswana is a wild paradise of myriad wilderness areas and ample wildlife. Namibia's top destinations include Swakopmund, Sossusvlei and Etosha. 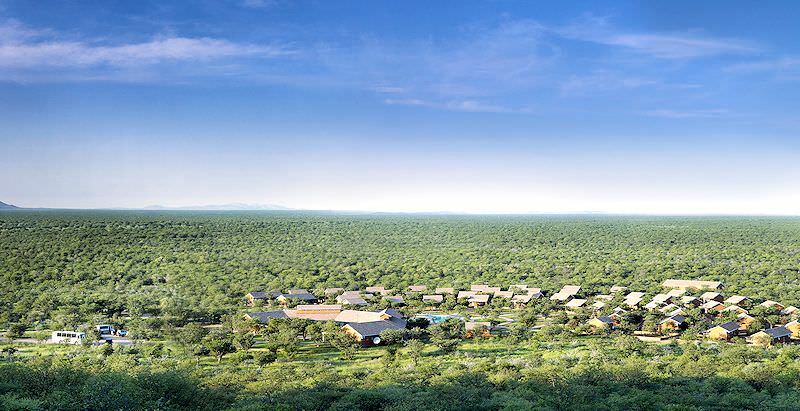 Zambia is an often overlooked - yet truly rewarding - safari destination. Travel to Zimbabwe for a heart-stopping glimpse of the natural world wonder of Victoria Falls. For the ultimate in barefoot luxury, choose Mozambique for your beach holiday. The Kruger National Park is a nature enthusiast's paradise, boasting extraordinary diversity and catering to a variety of travel budgets. For the ultimate in luxury travel and wild adventure, opt for a luxury African safari package with African Sky. Encountering the Big Five on safari is indelibly thrilling, from lions out on the hunt to observing the unique interactions between elephants. The African lodges used by African Sky have been carefully selected for their impeccable service levels and awe-inspiring locations.